This isn’t about me, though it is. And it’s not my story, but I am an insider. It’s about being sick and being well and getting older and anything can happen to anyone at any time. I was out for the day. Work, actually. I was chatting with a friend when I walked through the front door. My teenage son began to motion, clearly seeking my attention, pantomiming incomprehensively. I hung up the phone. I walk into the kitchen and see my husband sitting at the counter and slicing a brick of a delicious balsamic-drenched cheddar. With a spoon. I quickly collect the details of a fall at the gym, as the treadmill ran 6.1 mph. Not the end of the world, except the storyteller – my husband – can’t quite get the words right, is still slicing cheese with a spoon, and doesn’t remember falling. “OK, great. Let’s go,” I instruct. Everyone moves to the car, I tell the kid to grab a book and once we’re out the door the husband asks where we’re going. Under slurred protest I drive the 10 minutes to the nearest hospital, where we are not well-known, but nor are we strangers. We slip in during a pretty quiet window before the 3 ambulances that arrived in quick secession. I attempt to join him in triage but am shooed away. I get it – no one needs me completing his sentences or prompting him as they test his cognition. But they could have at least let me tell them that he was going to deny any and all concerns. Not to mention, no one knows better than I what his “normal” looks like. The kid and I wait. And wait. A young Russian woman and her mother argue loudly, presumably about they fact that they were kept waiting while the ER staff was trying to help their father/husband who arrived in Ambulance 1. I realized I’m well-versed in ER protocol and taking this all in stride. Perhaps too much so. By now the room has filled a bit and I watch as faces drop, concern replaced by fear. My instinct is to comfort them. This isn’t about their loved ones, it is about mine. But I have no way of knowing that. I just know it. 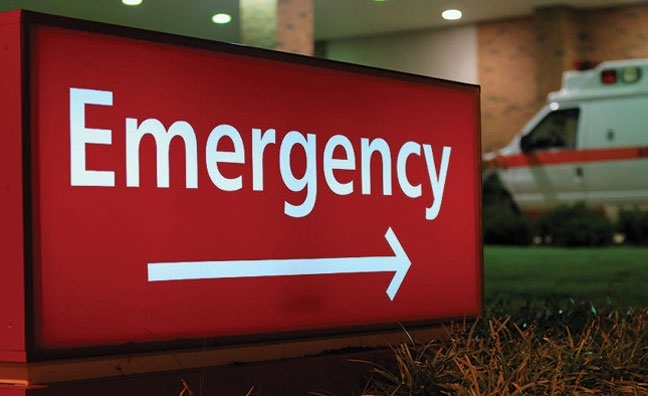 In time the ER will run a CT scan, which will wrongly be negative. My husband will be discharged, perhaps still in the middle of his stroke. The week to come will be filled with 3 MRIs, an echocardiogram and 20 vials of blood will be tested. He is 47 years old, fit as a fiddle, works out regularly, has no cholesterol issues, low blood pressure and exactly ONE stroke risk factor: he is male. We aren’t really through this yet, though he has been given leave to drive and spent half a day in the office. I have some choice words for the ER we went to, and luckily they sent an evaluation that arrived today. Hear me roar! Here’s the rub. It’s been years since I was first diagnosed with cancer, and another few since it became metastatic. My husband is my partner, my rock, my caregiver. He knows how to take care of me. He knows nothing of being taken care of. He knows I will die with, if not from, my disease. It has never once occurred to him that he might be mortal as well. It’s been quite a week of table turning and there is more to come. News flash: we are ALL immortal. He’s getting used to that fact. Slowly. Uncomfortably. But if you want to know the truth, it’s good to take care of someone else. But more than that, I wish it were me. I’d take it all on in a heartbeat…pun intended. Lori, I hope they have a plan for reducing your husband’s risk. How scary! Sending positive thoughts. Thanks, Cheryl! Unfortunately he has NO risk factors except being male, which we’re not planning to change! I am strong arming him into yoga and lots of tests to come. Hard to know if we want to find something or if we DON’T want to find something. Sometimes it’s easier to be the patient. Everytime I get rolled into the OR, even though scared, I know hubby has the harder job of sitting and waiting! Hope your hubby is doing okay and kudos to your son for realizing something just wasn’t right with dad. Lori, I’m so sorry that your husband had a stroke and, yes, it is true that we are all mortal and nobody knows when his/her last time on Earth will be. I hope he’s on the mend. Thanks Beth, and you are so right. We have had long discussions about what we do TODAY since this moment is all we can be sure of! Lori, I’m so sorry to hear about John. You were smart to be so proactive and not rely on the ER’s analysis. I have my own issues with a particular ER in our neighborhood (I wonder if you went to the same one) and it’s a good thing your instincts are spot on. I hope John heals quickly. Hi Malinda – chances are good it is the same one! I won’t be returning THERE again. We will be filling out their survey this weekend and have quite a bit to say!! Oh Lori I am beside myself. What a horrible thing at the ER and I am so sorry your husband had a stroke. I know this is a process of tests and I only wish for healing outcomes. So much on your plate. You are amazing. So sorry to hear this. So many challenges at once. My best wishes. Thank you so much! We continue to put one foot in front of the other, and each day gets easier! Gosh, Lori, I’m sorry about your husband’s stroke and I’m sorry you weren’t happy with the way things were handled in the ER. It is really hard to suddenly “change that shoe” and become the caregiver. Reality sometimes gives us an unwelcome bite. I hope the tests all go well. I’ll be thinking of you and your family. And kudos to your son indeed for realizing things were amiss and to you for heading right to the ER. A belated thank you, Nancy. Things have been SO busy! We continue to plod along with more tests next week. And we are reminded to take NOTHING for granted! though I am late to comment on your post, I just want to let you know that I am sending my most powerful vibes and good thoughts to you, your husband and family. I so admire your quick action, and that you were able to jam that advocacy hat firmly onto your head. I hope all the tests have a good outcome, and that you all feel embraced with the love and concern of your cyber community. Thank you so very much, Karen! We are indeed blessed to have a wonderful community here on the ground as well – all looking for ways to help despite the fact that we’re quite fine! Thanks Renn…things have certainly settled down. And yes, I’m in search of a new ER. For now, I DO know where the nearest stroke centers are! Thank you, sweetie! We are all doing ok. Worst thing this week was the kid’s cold. PHEW!! Now that things seem to have slowed down here we need a TWEET UP!